Lying at an altitude of 3584 meters above the sea level, Kedarnath temple is one of the destinations of the most revered Chadham Yatra, Uttarakhand. 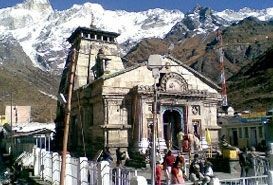 Dedicated to an incarnation of Lord Shiva, Kedarnath is also one of the 12 Jyotirlingas of the Lord. Hindu devotees visit the temple every year in huge numbers. It is believed that the Lord fulfills all the desires of his devotees. Originally, the temple was constructed by the Pandava of brothers. 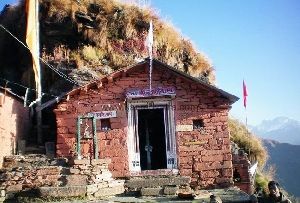 Today the temple that we see was built by Adi Shankaracharya in the 8th century during the course of revival of Hinduism. The samadhi of the sage lies just behind the temple. The entrance of the temple has a statue of Nandi, Lord Shiva’s divine bull. 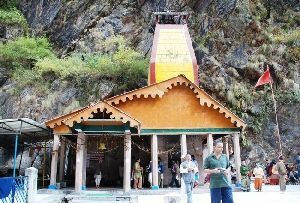 Around 223 km from Rishikesh, the temple is placed on the banks of River Mandakini and is amidst snow-covered mountains. 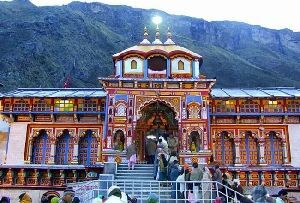 Gaurikund, Gandhi Sarovar, Triyuginarayan, Vasuki Tal, Sonprayag, Agastyamuni Temple and Deoria Tal are some of the attractions around Kedarnath temple. Though there are a few legends behind Kedarnath temple, the most popular one is about the Pandava brothers of Mahabharata. After emerging winners in Kurukshetra war and killing their Kaurava brothers, they came to Himalayas for penance and spotted Lord Shiva, from a distance who was trying to hide from them. 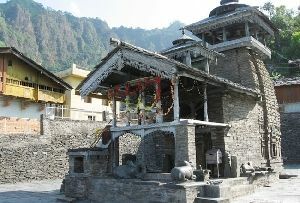 The place where the Lord hid himself from the Pandavas, is known as Guptkashi. From here, they moved forward in Himalyas towards Gaurikund. One day, Nakul and Sahadev spotted a strange looking buffalo. Bheema realized that it was the Lord himself and ran after it. The buffalo was fast but Bheema managed to hold it with this mace. The buffalo hid its face in a crevice in earth and Bheema tried to pull it up from its tail. In due course, buffalo’s face went right to Nepal and its hind part was left in Kedar where today Kedarnath temple stands. 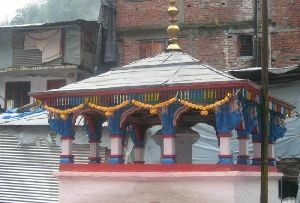 The place where buffalo’s face showed up, Pashupati Nath temple in Nepal is built. At the place of the hind part, a triangle-shaped Jyoitrlinga appeared and the Lord appeared in front of the brother in the form of light and absolved their sins. 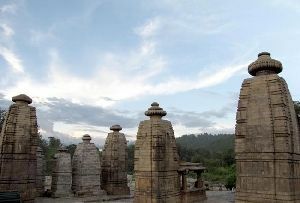 The Pandavas constructed a temple here. 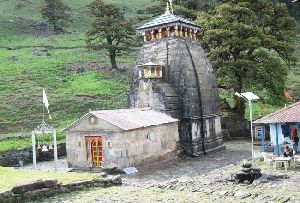 Kedarnath temple opens from the month Vaisakha to Ashwin, according to Hindu calendar. 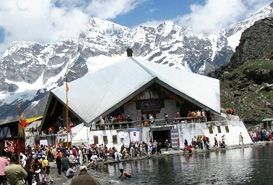 During the rest of the part of the year, there is heavy snowfall and the temple is virtually inaccessible. The temple opens in the end of the month April or the starting of May on the day of Akshaya Tritriya and generally remains open till the month of November on the day of Kartil Purnia or full moon. At the on-set of winters, Sri Kedareshwar’s idol from the temple is brought to Ukhimath. On the place of the idol, a ghee lamp, called Nanda Deep is lighted. 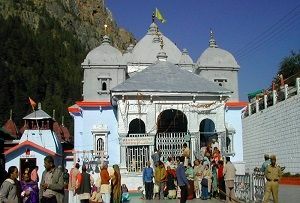 At Kedarnath, Lord Shiva is worshipped as the ‘Lord of Kedar Khand’, the ancient name of the region. The temple is closed between 03:00 pm to 05:00 pm.